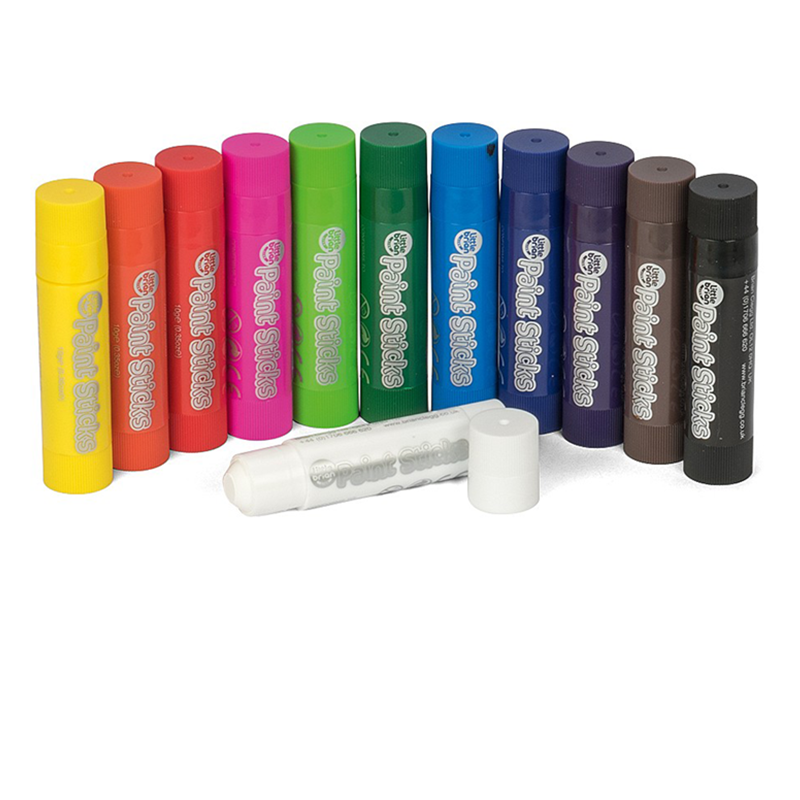 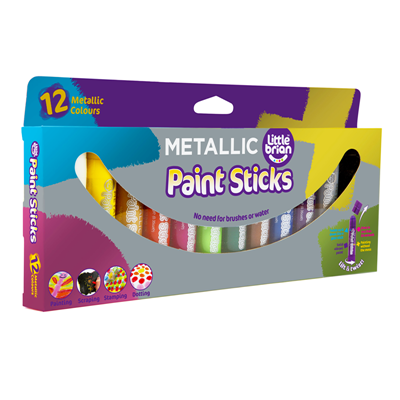 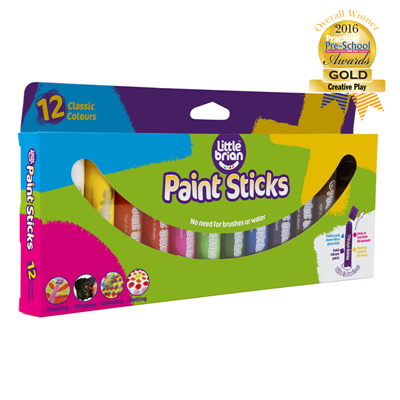 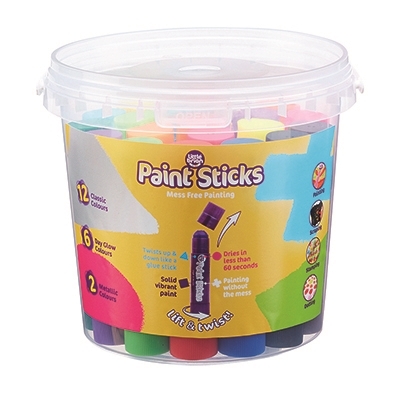 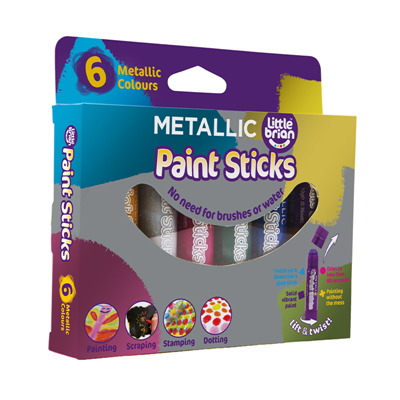 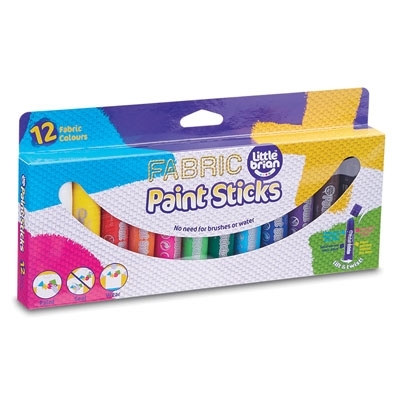 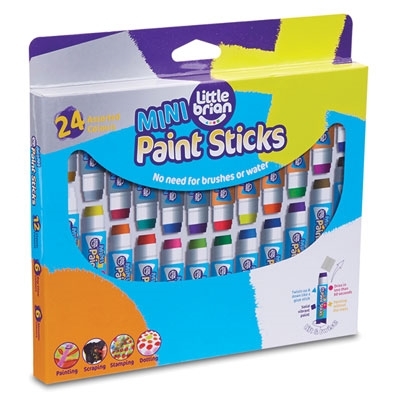 The fun, clean, simple and convenient way to paint - a must have for any budding young art or craft fan! 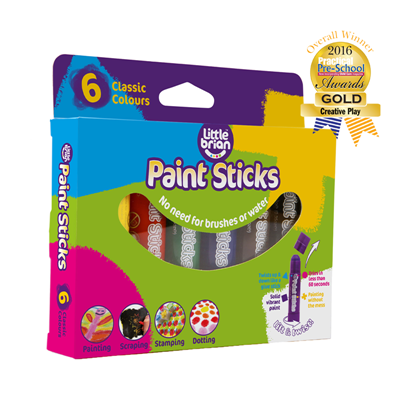 Start creating works of art with the award-winning Paint Sticks Classic Colours assortment. 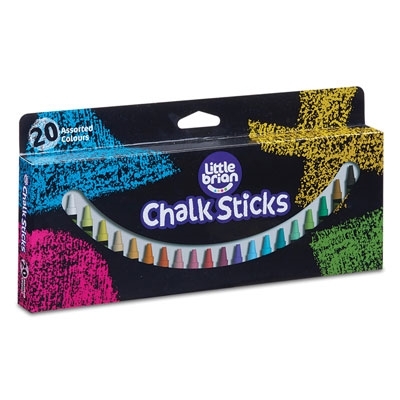 Use like a crayon or press down firmer to create a more painted effect. 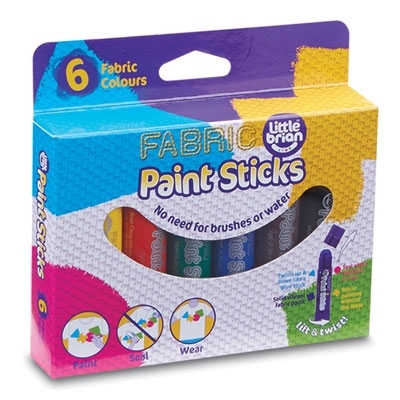 Then gently brush water over the colours for a watercolour effect. 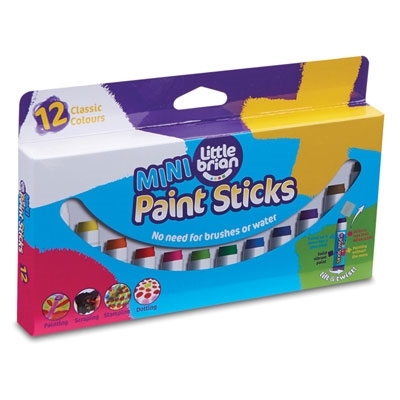 With a chunky feel, Paint Sticks are ideal for little hands, and great for use on a variety of materials – paper, wood, canvas, or even glass windows! 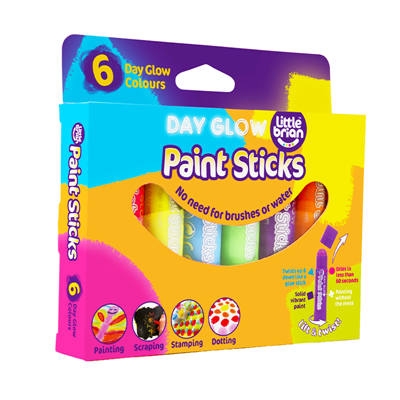 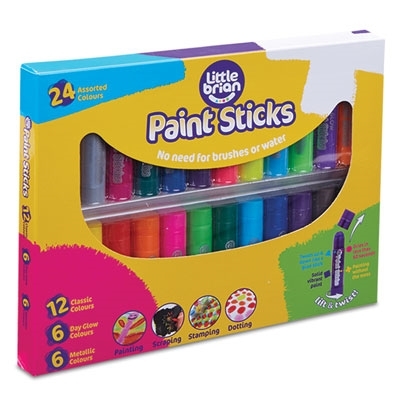 The larger 12 pack includes the same bright colours as the 6 pack, plus a further six colours - Orange, White, Purple, Pink, Leaf Green and Sky Blue.